VP Nicolas Maduro: "In the spirit of Hugo Chavez, we will raise the greatest strengths of this country.."
In 2006, Hugo Chavez called George W. Bush "the devil" during a U.N. speech, but Kanye West's words, "Bush doesn't care about Black people," got more publicity. 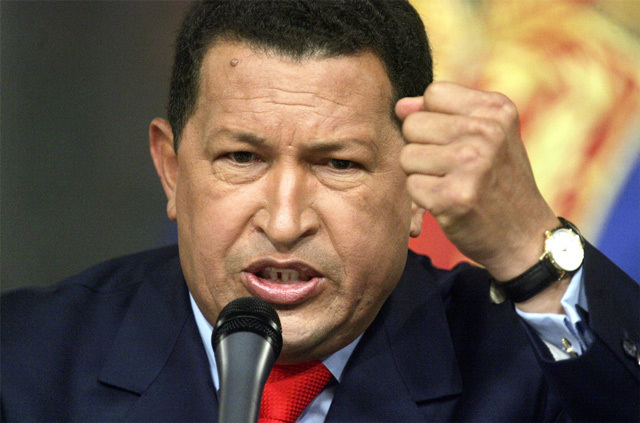 Hugo Chavez was not loved by America, thus he was on the right side of history. Salute! A good guy for his people. A man who stood firm with his principles and directed the nation towards a healthy economy while confront the capitalist nations. Sure he will be deeply missed by his nation.